Although formed during the post-punk revival of the late ’90s, the National took inspiration from a wider set of influences, including country-rock, Americana, indie rock, and Brit-pop. 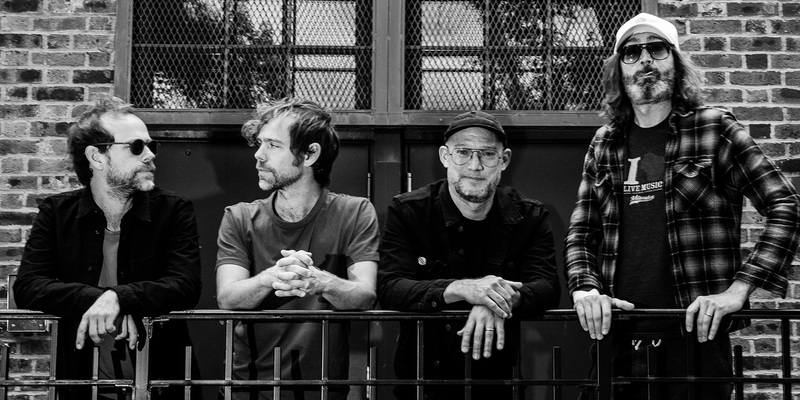 The lineup began taking shape in Ohio and officially cemented itself in New York, with baritone vocalist Matt Berningerjoining forces with two sets of brothers — Scott (bass) and Bryan Devendorf (drums), and Aaron (guitar) and Bryce Dessner (guitar). After establishing themselves as a live act, the bandmates made their studio debut with The National, a self-titled record that appeared in 2001 to considerable acclaim. Two years later, the band returned with Sad Songs for Dirty Lovers, a deft blending of alternative country and chamber pop that found the band partnering with producer Peter Katis. The National continued working with Katis throughout the rest of the decade. Following the release of an EP, Cherry Tree, in 2004, the band signed with Beggars Banquet and released Alligator. Although sales were modest, Alligator proved to be one of the year’s most critically approved releases. Released in 2007, Boxer, an ambitious effort that featured orchestration by the Clogs‘ Padma Newsome and piano by Sufjan Stevens, fared similarly well. It also became the band’s first album to chart fairly well, peaking at number 67 on the Billboard 200. A documentary by French filmmaker Vincent Moon was released in 2008, capturing the band during the Boxer recording sessions. That same year, the National released The Virginia EP, a collection of new material and various B-sides, and began working on a new studio album with Katis. High Violet appeared two years later, earning the guys the highest marks of their career and going gold in multiple countries. Trouble Will Find Me, the group’s sixth long-player, was issued in 2013 and featured guest appearances from Sharon Van Etten, Sufjan Stevens, Dark Dark Dark‘s Nona Marie Invie, St. Vincent, Doveman, and Arcade Fire‘s Richard Reed Perry. The Grammy-nominated album peaked at the number three slot on the Billboard 200. In 2015, the group issued a limited-edition nine-LP box set entitled Lot of Sorrow. The set chronicled the group’s epic 2013 MoMA-hosted performance art collaboration with Icelandic artist Ragnar Kjartansson, which saw the band perform the song “Sorrow” (from High Violet) for six straight hours (105 times). In 2017, the band returned with “The System Only Dreams in Total Darkness,” the first single from their seventh set, Sleep Well Beast, which appeared in September of that year. Also in 2017, to celebrate the tenth anniversary of their landmark 2007 album, Boxer, the National re-created the album live at a show in Brussels. It was released as Boxer: Live in Brussels for Record Store Day in April 2018. In addition to their work with the National, Bryan and Scott Devendorf have their own project, an experimental rock trio called LNZNDRF with Beirut trombonist Ben Lanz. Bryan Devendorf also plays in Pfarmers, another avant-indie rock trio featuring Menomena‘s Danny Seim and trombonist Dave Nelson (David Byrne and St. Vincent). Berninger is one-half of the indie rock duo El Vy, a musical collaboration with multi-instrumentalist Brent Knopf of Menomena and Ramona Falls. The National are pleased to announce their 7th studio album – Sleep Well Beast – to be released on September 8th on 4AD. Sleep Well Beast was produced by member Aaron Dessner with additional production by Matt Berninger and Bryce Dessner. The album was mixed by Peter Katis and recorded at Aaron Dessner’s Hudson Valley, New York studio, Long Pond. Sleep Well Beast is available for pre-order today at americanmary.com and will be available in CD, digital and double LP formats. The National debuts the track “The System Only Dreams in Total Darkness,” in this Casey Reas directed video. The band has also announced a World Tour in support of the album, kicking off in Cork, Ireland on September 16th. The ticket pre-order begins Monday, May 15th with public on-sale beginning Friday, May 19th. Highlights include Forest Hills Stadium in New York on October 6th, The Hollywood Bowl on October 11th and multiple night residencies in more than 10 cities across Europe and North America. Every ticket in North America includes a copy of Sleep Well Beast delivered on September 8th. The National will also play Glastonbury and Haven Festival in Copenhagen this summer. For additional information visit www.americanmary.com.